Andrew Athens, the great Greek-American Philanthropist, died on March 14th 2013. He passed away during his sleep at his Chicago home after long illness. His impact on people’s lives has been tremendous. Senator Barbara Mikulski had referred to him as a “one-man foreign aid program,” dedicated to helping others. The Greek community in USA and people from all around the world mourned his death, including heads of States, countless political figures, and organizations. Andrew Athens was an example of a man of vision, commitment and self-sacrifice that knew how to inspire and lead in struggles for the defense of the rights of the Greeks. He approached each endeavor in his life with total commitment and hard work always tireless and lively characterized by his unwavering faith to his ideals and goals. Immediately after the Turkish invasion of Cyprus in 1974, he played a leading role in establishing a Greek Lobby in Washington and founded the United Hellenic American Congress (UHAC), an organization with notable accomplishments and presence. In this effort he was assisted by the Washington-based National Coordinated Effort of Hellenes (CEH) he had co-founded. He was the “Leadership 100” Endowment Fund president emeritus. 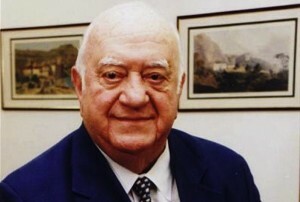 Athens was its founder and first president of the board (1986-1996). He co-founded and chaired the International Orthodox Christian Charities (IOCC). For two decades (1974-1995) he was the president of the Council of the Greek Orthodox Archdiocese of North and South America. 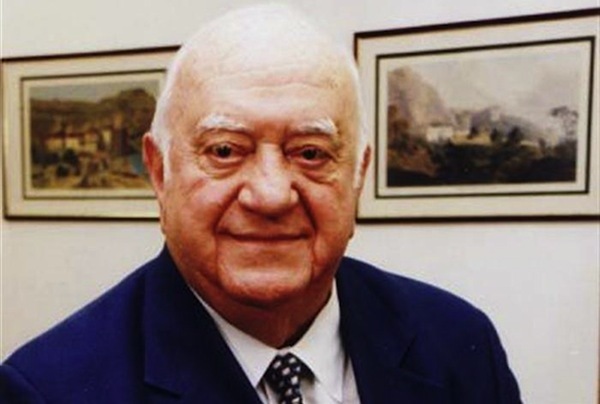 He was the co-founder of the Hellenic American Chamber of Commerce and served as its president from 1991 to 1997. Andrew Athens won international recognition for his service to the community. Foreign governments, Orthodox Church Patriarchates, charitable organizations and production sector representatives around the world honored him with over 42 awards, medals and distinctions. He was the “Archon” of the Great Church of Christ, an Ecumenical Patriarchate honorary title conferred upon individuals honouring them for their service and dedication to the Church. He was also honored by other Orthodox Patriarchates and Churches for his tireless efforts defending religious freedom and human rights. He received, among others, the Medal of the Supreme Taxiarch of the Holy Sepulchre, the “Athenagoras” Human Rights Award and the Gold Cross of the Holy Cross Seminary bestowed by Archbishop Iakovos. Throughout his lifetime, Andrew Athens traveled to all continents covering a distance of millions of miles in an effort to unite and strengthen the Greek communities abroad. Finally, Andrew Athens was an excellent family man. He met his wife Louise during WWII. They had two children, a son and a daughter, and four grandchildren. Andrew Athens died on March 14th 2013 at his Chicago home. Details about his funeral to follow.